Located 45 miles or just about an hour northeast of Los Angeles, California, in the San Gabriel Mountains on Mount San Antonio, Mt. Baldy Ski Lifts is part of the Angeles National Forest. Baldy is approximately 40 miles northwest of the San Bernadino International Airport, but the closest airport is Ontario International Airport (ONT), about 30 minutes south of the ski resort. With a summit elevation of 8,600 feet, Mt. Baldy, California boasts 2,100 feet of vertical. The Southern California mountain also features 26 trails serviced by four ski lifts. The mountain offers a seven-lane tubing park located at the top of the Sugarpine Chairlift as an alternative or addition to your ski day. Also located at the top of that 15-minute lift ride is the Top of the Notch, a scenic dining experience at 7,800 feet that overlooks Southern California. Baldy is a great ski resort for those new to skiing or riding with its dedicated Flow Zone area, a terrain-based learning setup designed to focus on progression with rollers and banked turns. Staff is standing by at the Mt. Baldy Flow Zone to give tips, assist with the basics and familiarize gear. Advanced and expert skiers and riders and those who manage to progress their skills to that level will find plenty of challenge at Baldy with a healthy percentage of steeps on the trail map. Parking is free for customers and there is room for some 2,000 cars. The ticket office and restrooms are the only services at the parking lot level. Ride the first chair to the main part of the ski area where rentals, lessons, basket check, tubing park, first aid, and a restaurant will be found. 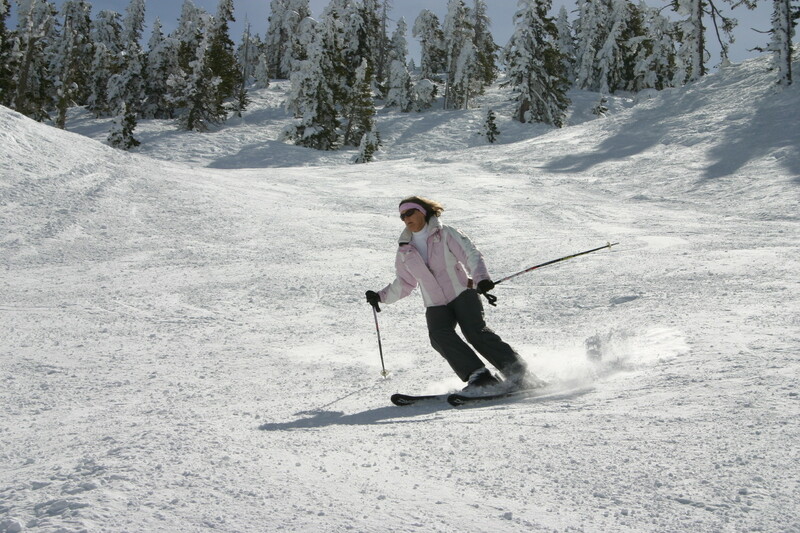 Skiers often choose to ride the chair back to the parking lot at the end of the day. By the way: Gas up. There is no gas station at the ski area.